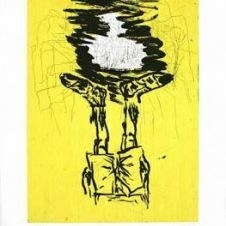 Georg Baselitz (real name: Hans-Georg Kern) was born in 1938 in Deutschbaselitz/Saxony. 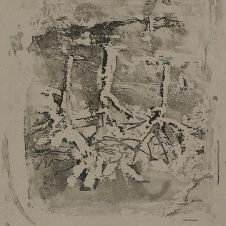 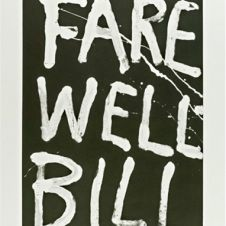 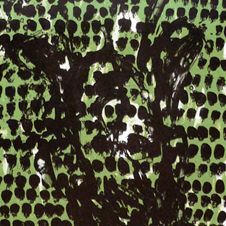 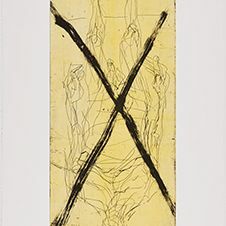 Baselitz's characteristic images became popular in the early 60's. 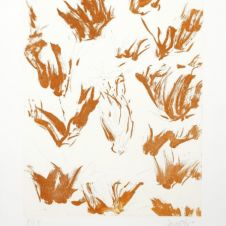 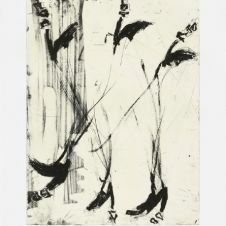 Since 1969 the artist turns almost all motifs upside down, such as the eagle (a constant in his oeuvre) in this four-colored etching. 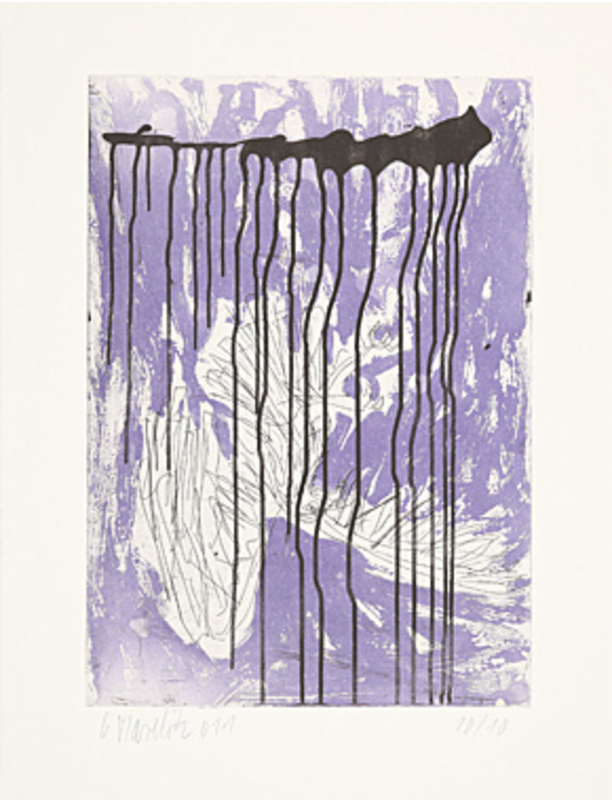 The falling „Fingermalerei-Adler III“ hung over Gerhard Schroeder's desk in the chancellery. 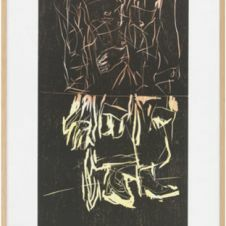 Also very typical for Baselitz is the black bar, from which the color is running across the image. This adds abstraction to the works, that were named after four German mines.